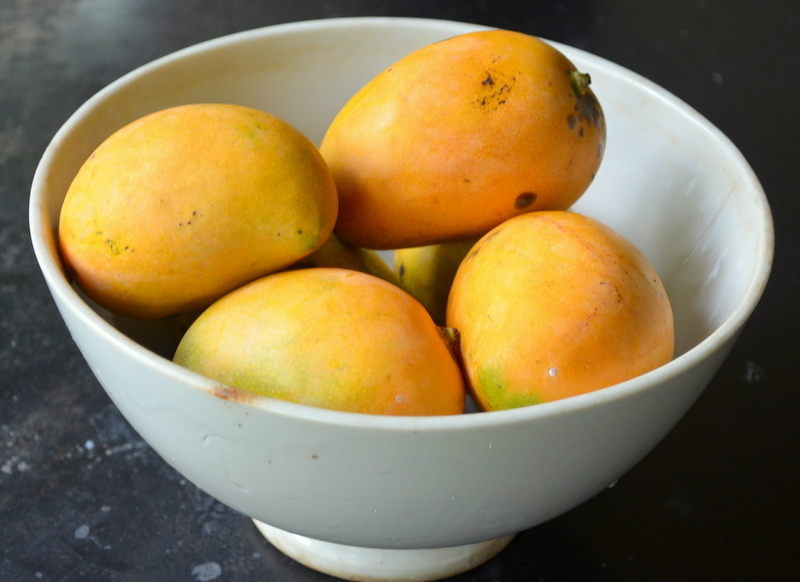 In India, ‘mango mania’ sweeps through the whole country during this time of the year. There are so many different varieties to choose from, each one with its own colour and character that makes them special and sought after. In London we have a limited choice, but we do get the best sweet Alphonso mangoes flown in directly from India. During the season, I make religious weekly visits to the Indian green grocers, aiming to get a box full of sweet and fragrant ripe mangoes. Mango pudding is popular all over Asia during this time of the year when the sun shines with all its vigour and mangoes ripen with equal vim to beat the scorching heat spreading the sweet perfume all around.